BOLSTER MEDIA is a full-service PR, Marketing and Events agency. 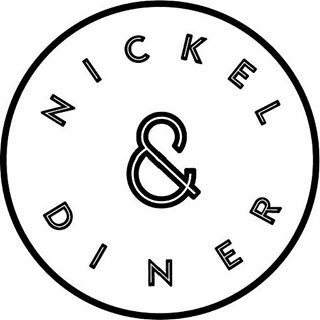 Founded in 2014 by Nicole Albano & Crystal Wang, we specialize in the culinary arts, representing chefs and restaurants, as well as food professionals, across the country. Nicole Albano has over 10 years of experience in public relations, marketing and events, as well as five years within the hospitality industry, working front of house. Prior to founding Bolster Media, Nicole was an Account Director at Bullfrog & Baum, one of the nation’s leading hospitality PR firms, where she led accounts for top toques and restaurant groups including Bobby Flay, Jose Andres, Marc Vetri, Dale Talde, Zak Pelaccio, Sara Moulton and Starr Restaurants, as well as culinary programming for major brands including Mercedes Benz, Bruce Cost Ginger Ale and more. A seasoned communications expert, prior to joining B&B, Nicole’s client experience was in the fashion and lifestyle sectors and includes work with mega brands including UGG Australia, QVC, Saks Fifth Avenue, Sara Lee Corporation and 1-800-FLOWERS. Nicole has an extensive network of media contacts and a track record of stellar placements that spans some of the nation’s leading media outlets including NBC “Today Show,” “The Chew,” FOX Business News Channel, WSJ, NYT, Food & Wine, Bon Appetit, Entrepreneur, GQ, Esquire, Vogue and more. As an Italian, Nicole’s entire life has revolved around food, but her true passion for all things culinary developed inside the bakery her grandmother worked at when she was younger. Nicole is an avid home cook, a lover of cheese and craft beer, and lives in NYC. Crystal brings seven years of experience having worked in the hospitality industry, both in public relations and marketing, as well as firsthand experience working front of house at various restaurants in Philadelphia and New York City. She a creative thinker who enjoys working collaboratively with clients and media contacts. Prior to joining Bolster Media, Crystal was an Account Manager at Sunshine Sachs, working with various lifestyle, culinary personalities, cookbooks and restaurant clients such as Shutterfly, Wedding Paper Divas, Ellie Krieger, Katie Lee, Harlem EatUp! Festival, by CHLOE., Contra, and Wildair. It was here, she had the opportunity to work on unique partnerships, such as an activation with Facebook at the Food & Wine Aspen Classic. Crystal first met Nicole at Bullfrog & Baum where they worked together on clients across the country including STARR Restaurants (Buddakan, Morimoto, The Dandelion, Talula's Garden), Dinosaur Bar-B-Que, Melt Shop, New Amsterdam Market and Juvia, in addition to renowned chefs like Wolfgang Puck, José Andrés, Marc Vetri, Laurent Manrique, Vikas Khanna, Zak Pelaccio and Dale Talde. Crystal loves to entertain at home, try new recipes (but not always follow them precisely! ), and can often be found sitting around the dinner table with friends.